Helicobacter Pylori is a Gram-negative bacteria identified by Warren and Marshall in Australia in 1983. Today, no one questions that Helicobacter Pylori plays an etiopathogenic role in gastritis and peptic ulcer disease. The eradication of this microorganism not only enables the faster curing and scarring of these lesions, it is also accompanied by a drastic reduction in ulcer recurrence rates, leading to a more significant decrease in episodes of gastrointestinal bleeding, a clear improvement in the ‘quality of life’ of these patients and a considerable decrease in the treatment of peptic ulcer disease compared to ‘classic’ antisecretory treatments. Furthermore, various studies have demonstrated that the inflammation produced by H. pylori to gastric mucus contributes to the development of gastric adenocarcinoma; having also linked this infection to the low grade MALT gastric lymphoma. The participation of this microorganism in other digestive diseases such as non-ulcer dyspepsia, gastroesophageal reflux disease, and the role that H. pylori could play as a protective or favouring factor for gastric lesions caused by non-steroidal anti-inflammatories drugs (NSAIDs), continue to be topics of great controversy. Over recent years, this infection has been linked to other intestinal digestive diseases and extraintestinal diseases, such as coronary artery disease, certain skin conditions, endocrine conditions and immune system disorders, among others. 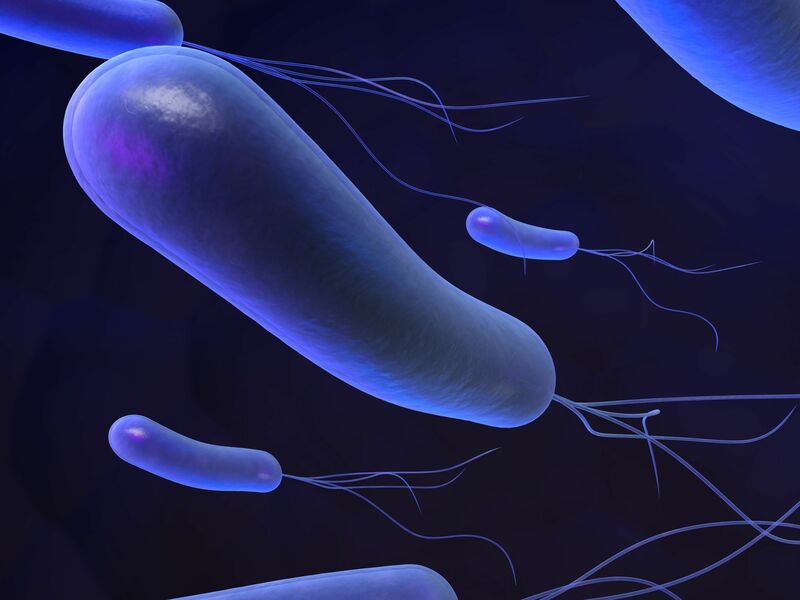 The possible participation of H. pylori in these conditions is an extremely attractive, fascinating field of research, which could lead to truly revolutionary implications for its therapeutic use if its participation is proven. To date, no reliable data support this link. In summary, to date, we can only talk about suggested links between the Helicobacter Pylori infection and certain extraintestinal conditions. Coronary artery disease, rosacea and urticaria are the conditions that have been most studied. Further well-designed studies are necessary in order to determine whether there really is a link between the Helicobacter Pylori infection and the various conditions involved.